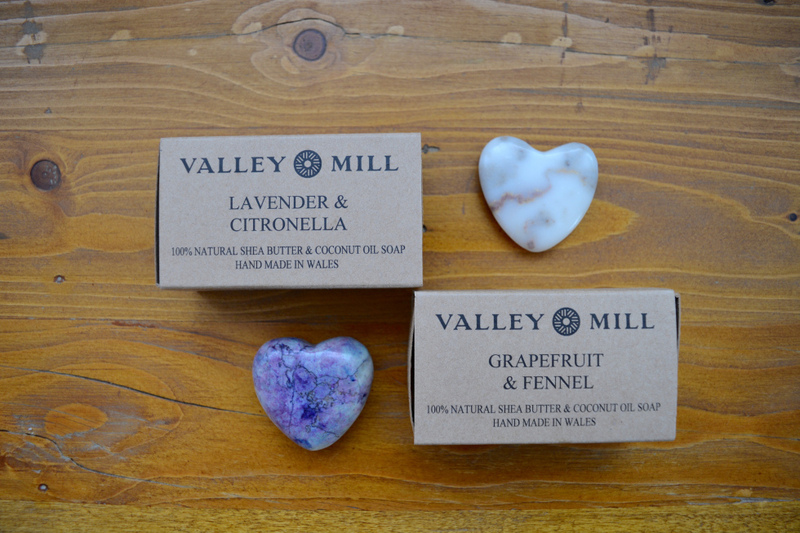 A couple of weeks ago I was sent two soaps to try out by Valley Mill and have been using them ever since. I'm a big lover of bath products and was really excited to get them in the post. I received two different soaps: Lavender & Citronella and Grapefruit & Fennel. 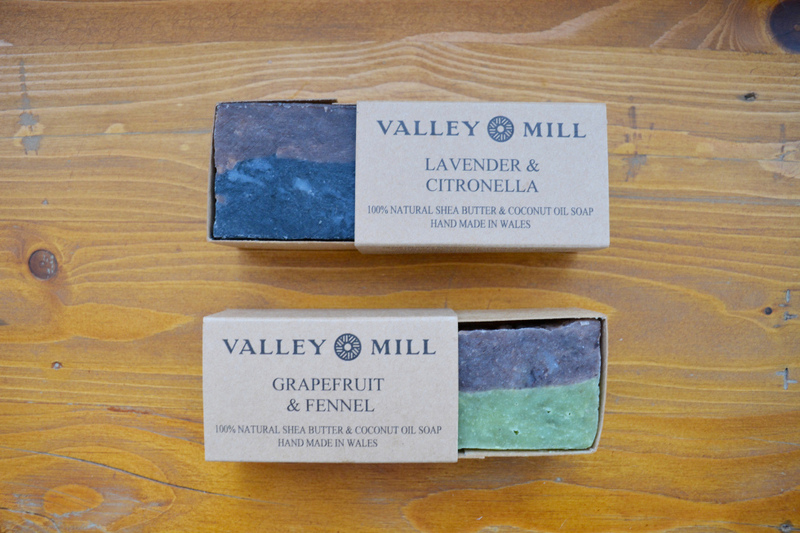 Valley Mill make a wide range of natural home ware products including Soy Candles, Natural Soaps, Hard Wood Chopping Boards & a wide range of welsh slate products using a combination of hand crafting technique's. All design work is carried out internally and all products are hand made using materials from Wales. I think it is great that Valley Mill soaps are all natural, they contain Shea butter, Coconut oil, Olive oil, Palm oil and Castor oil. I have tried a couple organic soaps before and have been disappointed by them, they either don't have a great fragrance or the soaps aren't of good quality. One of the first things I noticed after trying the soaps is that my skin felt softer and the soaps themselves lathered really well. My skin felt more fresh and cleaner after using it, I have already used up the Lavender one and am half through my second. My favourite scent out of the two was the Lavender & Citronella, I really love lavender fragrances and it was so soothing! I felt so much more relaxed and the bathroom smelt lovely afterwards. The Grapefruit & Fennel soap was a little bit strong but I still really liked it. The soaps only cost £4.00, which is a reasonable price and the soaps are of good quality. I would definitely recommend them and you know there aren't any chemicals harming/damaging your skin. They also have lots of personalised cute gifts and there candle fragrances look amazing!! I will definitely be trying one of their candles in the future: Passion Fruit, Mixed Berries, Coconut or Welsh Cake.